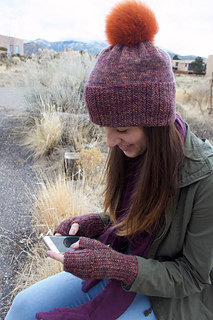 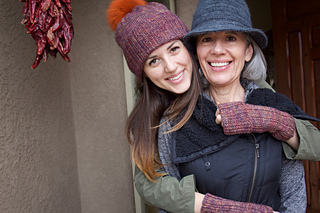 Gravel is a light, extremely wearable hat and mitt set. 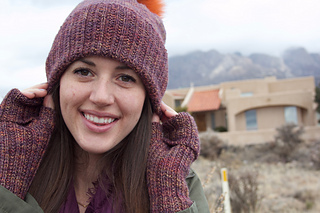 Small details — like a stretchy cast-on, textured rib, convertible design, and striking pompom — make this pattern a modern take on a classic design. 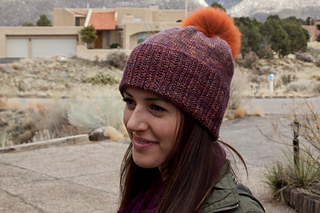 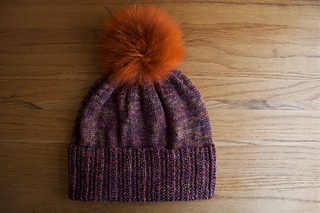 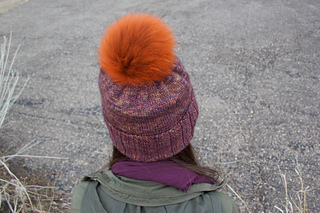 THE HAT is a simple pattern with an oversized folded rib, which effectively doubles the fabric in the lower part of the hat for structure to support the pompom while leaving the upper part of the hat light enough for a bit of a slouch. 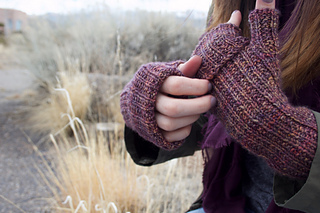 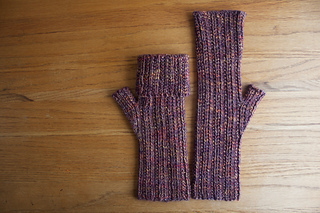 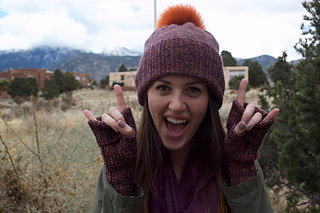 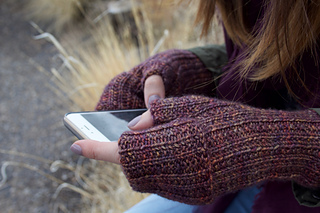 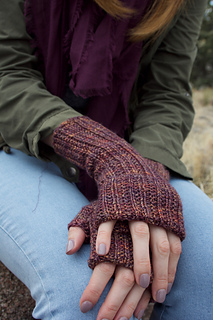 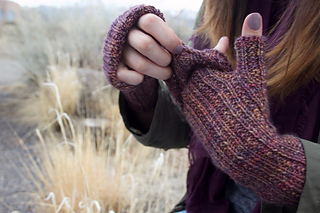 THE MITTS are designed to be extra long, so the top edge can be folded down for classic fingerless mitts or pulled straight to completely cover the fingertips. 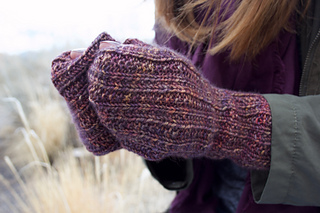 Gradual increases for the thumb work up within the textured rib pattern for an, elegant, well-shaped mitt.